Doug Lowy, MD, acting director of the National Cancer Institute at the National Institutes of Health discusses the National Cancer Moonshot. At medical schools and teaching hospitals, physicians are shifting away from a uniform strategy of treatment and moving toward more personalized, yet still evidence-based, care. To achieve this end, academic medicine is increasingly recognizing the value of sharing data, partnering with patients, and working collaboratively to make medicine more efficient. These approaches are now being tested on a national scale with the Precision Medicine Initiative (PMI) and National Cancer Moonshot, two major federal research initiatives highlighted this week at Learn Serve Lead 2016: The AAMC Annual Meeting. These endeavors, championed by the White House, have engaged academic medicine with the goal of bringing cutting-edge research into practice. PMI, announced by President Barack Obama in January 2015, is designed to create a large national research cohort of more than 1 million patients. The cohort program, known as the All of Us Research Program, will collect health information from a broad range of participants to help researchers better understand and treat individual factors that lead to disease. The National Institutes of Health (NIH) oversees the PMI cohort and has awarded funding to multiple sites across the United States, including at least 30 academic medical centers, to develop the program’s infrastructure. The initiative is committed to recruiting a diverse set of participants to ensure that the benefits of the research conducted are available to all. Also speeding up progress in research is the National Cancer Moonshot, Vice President Joe Biden’s initiative to achieve a decade’s worth of progress in cancer research and treatment by 2020. The vice president began speaking to researchers, clinicians, and other experts in the months following the death his son Beau, who had brain cancer. Obama then announced in his 2016 State of the Union address that Biden would lead an effort to accelerate advances in cancer prevention, diagnosis, and treatment. 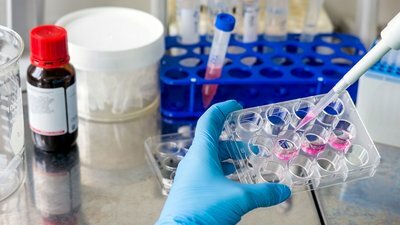 A report released in October by the federal Cancer Moonshot Task Force identified five strategic goals for the initiative, among them catalyzing new scientific breakthroughs, improving patient access to care, and maximizing the use and sharing of research data and public health information. Panelists in a session at Learn Serve Lead spoke about the critical role of academic medical centers in the Cancer Moonshot. Danielle Carnival, PhD, chief of staff and senior policy director for the White House Cancer Moonshot Task Force, said that one of the goals of the Moonshot was to make "the advances occurring at [medical schools and teaching hospitals] reach patients well outside the walls of their campuses." Doug Lowy, MD, acting director of NIH’s National Cancer Institute (NCI), added that the NCI, academic medicine, and others need to "take full advantage of the opportunity to accelerate progress by working together on a wide range of projects from the most basic to the most applied."